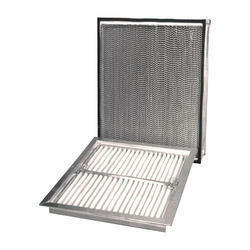 Prominent & Leading Manufacturer from Chennai, we offer air filtration systems. We offer clients technically advanced range of air filter, which is used for environmental air cleaning & Ventilation systems.These air filters help in cleaning the environment as air filters remove solid particulates, such as dust, pollen, mold, and bacteria from the air. We make use of quality raw material and make sure that our clients receive only a best available range of products. Looking for Turbo Ventilators ?